Get more for your money at the Quality Inn Loudon-Concord, New Hampshire, near Red River Theater. We are located near New Hampshire Motor Speedway, New Hampshire State House, Capitol Center for Arts, Mcaulife Shephard Discovery Center, and New Hampshire Historical Society. Get more value with amenities like full breakfast, free WiFi, an indoor heated pool, exercise room, free coffee, guest laundry and more. 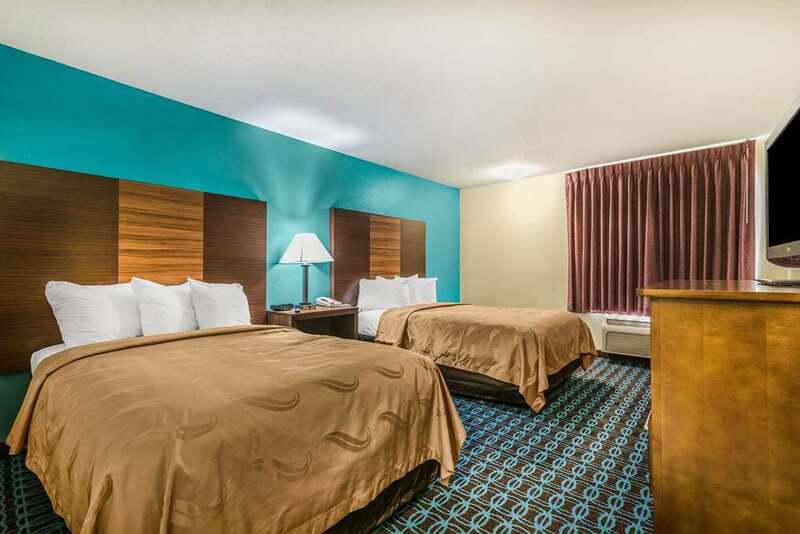 Rooms include a flat-screen TV, hair dryer, microwave, refrigerator and more. Earn rewards with every stay with our Choice Privileges Rewards program. Pets Allowed, 15.00 USD per night per pet. 90 lbs max, 2 pets per room. Please be advised the hotel has a limited room-inventory of 2 rooms for guests travelling with pets. Please contact hotel prior to reservations being made to confirm availability.